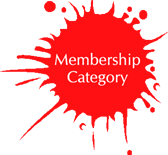 Any individual irrespective of his/her educational background, professional background, age, caste, creed is welcome to become a member of the organization. All you need to have within yourself is the zeal to be genuinely concerned on issues regarding environment and humans. You should have a heart to feel the pain caused due to prevailing issues in the society, on the planet Earth and should be able to lend us hands for actually fixing up these issues in the most beneficial ways possible . Any organization irrespective of their industry type, sector type, specialization type, size type is welcome to become a member of the organization. All you need to have within yourself is the zeal to be genuinely concerned on issues regarding environment and humans. You should have a heart to feel the pain caused due to prevailing issues in the society, on the planet Earth and should be able to lend us hands for actually fixing up these issues in the most beneficial ways possible.